Healdsburg in Sonoma County is home to outstanding vineyards, bakeries, wine tasting rooms, cafes and restaurants. Spend a weekend exploring everything that the town has to offer either on your own or by joining one of the local tours. Visit the vineyards, sample delicious food and stroll through the beautiful Healdsburg Plaza where you can browse artwork, books and boutique shops. Here are the best things to do in Healdsburg, California. Jordan Vineyard & Winery is a family-owned winery located on Alexander Valley Road. Tom and Sally Jordan founded the winery, and they originally bought the land with the idea of planting a vineyard. Consisting of more than 1,000 acres and a chateau, the vineyard produced its first vintage in 1976. 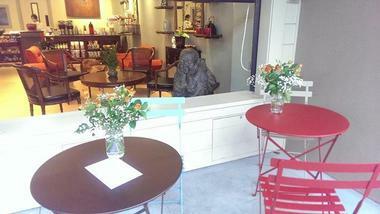 Costeaux French Bakery has been a Healdsburg landmark since 1923. Their artisan breads have won multiple awards, they baked the largest pumpkin pie according to Guinness Records, and their spectacular wedding cakes are a must for any happy Healdsburg bride. The café is unmistakably French in theme, with small cozy bistro tables, comfortable banquettes, and pretty flower arrangements surrounded by cheeses, charcuterie, and pastries that would make any Parisian bistro owner proud. They serve their fabulous breakfast all day, and, their delicious soups, quiches and sandwiches are available for lunch. Everything is available for takeout – they even have gourmet boxed lunches for your trip through the wine country. If you have a foodie and wine connoisseur in your family, taking him or her on a Healdsburg Wine Walking Tour would be a well-appreciated birthday gift. Tours start with a pleasant walk through the historic downtown Healdsburg at the very heart of Sonoma Country, where food and wines are considered responsible for making the world go round. Local guides, foodies, and wine connoisseurs themselves teach the art of pairing wine and food, and they make suggestions such as Cabernet combined with St. Agur blue cheese drizzled with honey and served with Bosc pears, or pairing port and chocolates. They explain appellation and varietal comparisons, organize private tastings at exclusive boutique tasting rooms, and explain the latest trends in the wine-making practices of the area. 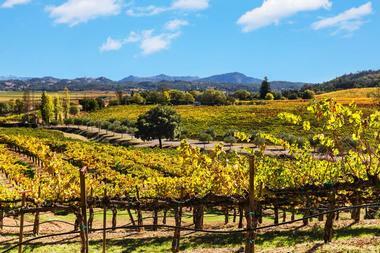 Wine Country Walking Tours offer five tours that last about four hours. While strolling through historic Healdsburg, stop by the Williamson Wines Tasting Room just off the town square on Matheson Street. Their pleasant and cozy tasting room is a combination wine shop and tasting room, so once you know what you like, you can purchase a few bottles to take home. There is quite a lot to like, since Williamson Winery has won numerous awards for their wines. Regular tastings do not require a reservation, and they will even offer you what they call fridge food, as they firmly believe wines should be enjoyed with food. 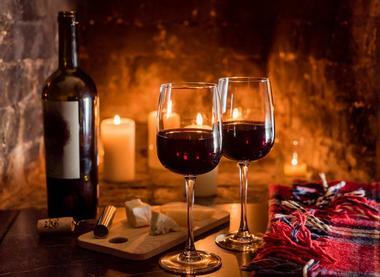 To truly enjoy wine and gourmet food pairing, reserve the place at their private tasting, and the owners will introduce their best wines together with gourmet dishes that enhance the flavors of the vintages. 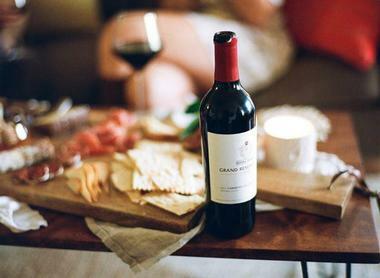 You will also notice that certain wines make the food taste so much better. Once you try Williamson Legacy Merlot with rich chocolate brownies, you will know how true that statement is. Healdsburg Plaza is a popular and charming square located in Healdsburg. After several buildings went up in the area, including a general store and a post office, the city hired a surveyor to map out the streets of the city, including the plaza. It is a beautiful grassy square with benches and tall shady trees including Canary Island date palms and redwoods. The plaza features wide sidewalks and many retail businesses such as art galleries, bookstores, boutiques, hotels, restaurants and wine-tasting rooms. The plaza is popular with residents because it has an inviting small town feel. During the summer months, the plaza serves as a venue for performances including music concerts. Located on Lambert Bridge Road, Dry Creek Vineyard is a family owned winery in the Dry Creek Valley. Consisting of more than 185 acres, the vineyard was founded in 1972 by David S. Stare, who wanted to begin producing Sauvignon Blanc wine. He opened the first winery in Dry Creek Valley after the end of Prohibition. Today, 40 years later, the winery produces a variety of wines, including Cabernet Sauvignon, Chardonnay, Chenin Blanc, Merlot, Zinfandel, and more. The vineyard’s tasting room is open every day, and the picnic grounds are a popular place to taste the wine and enjoy a meal. This small baked goods shop just off Healdsburg’s Plaza makes some of the most imaginative and delicious cupcakes, tarts, pies, and macaroons you can find anywhere. Here you will find Moustache cupcakes such as The Butcher, with crispy bacon and maple spice, or The Outlaw, with chocolate, sea salt, and caramel. Adventures in Cycling is a cycling tour company that offers a variety of cycling tours, from one-day tours up to five-day tours. 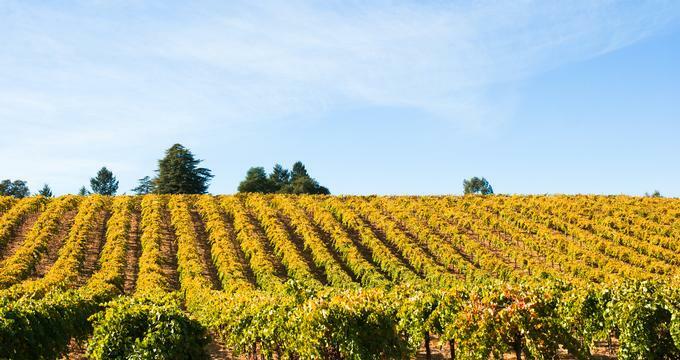 Their one-day tours are quite popular, and activities include wine tasting rides through the Russian River Valley in Sonoma Country and through Calistoga in Napa County. The Big Red Wine Tour takes guests for an 8- to 17-mile ride through the vineyards of Dry Creek Valley in Healdsburg, with several stops at wineries for tastings and a stop for lunch. Guests ride on comfortable 21-speed hybrid bikes on safe and quiet country roads. Healdsburg Wine Tour offers luxury tours of Healdsburg and the wine country around Healdsburg in Sonoma County. For nearly 30 years, owner Sid Sadeghian has been active in the hospitality business and has been a resident of Sonoma County for many years. Tours last between four and five hours, and guests are picked up in a town car, SUV, or passenger van. During the narrated tours, guests learn about the history of Healdsburg and Sonoma Valley, as well as things about the vineyards and the winemaking process, organic gardens and sustainable farming, and olives and olive groves. Tours can be designed to cater to each guest’s interests. 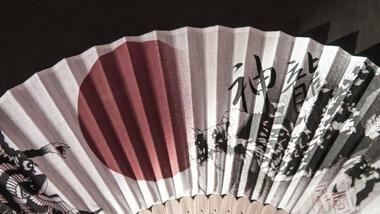 The Taste of Tea is a teashop where tea is for drinking, eating, or even pasting on your face. This cozy little tea room/restaurant/spa shows the many uses of tea for the body and soul by offering a large selection of loose leaf teas from all over the world, a nice selection of Japanese dishes, many of which use tea as an ingredient, as well as a small spa, where tea is used to cleanse the skin and relax the body. While tea lovers find the large selection of high quality teas they can drink in the tearoom or buy for later absolutely thrilling, the menu has some very interesting dishes for those who have an appetite. Try Salmon Ochazuke with a salmon-flavored and grilled rice ball soaked in Kyoto Bancha tea and topped with wasabi caviar, served with pickled plum (Umeboshi) and cucumber salad. SHED is a large complex in Healdsburg where local foodies love to hang out, a sort of modern “grange,” the place where farmers used to gather to exchange experiences and produce. Today it is the place that celebrates the link between sustainable farming, great cooking, and the joy of eating. The complex has an in-house market, a housewares shop, a café, and even its own farm. The café is far more than what the name suggests. It offers lovely looking, generous portions of seasonal food and such delights as sushi, yellow sashimi, braised pork cheeks, Meyer lemon pavlova, and much more. SHED also offers a series of workshops, cheese and wine tasting sessions, a food and farm film festival, and much more. Savor Healdsburg Food Tours is a food tasting company that meets at Healdsburg Town Square and introduces guests to the food of Healdsburg, a city surrounded by organic farms, olive orchards, and vineyards. The company offers a variety of tasting tours such as the Gourmet Healdsburg Food Tour, which allows guests to sample food from six destinations while learning about the cuisine, the sources of the ingredients, the chefs, and the history of the city. Some of the food destinations include Bravas with its Spanish tapas, Cafe Lucia with its Portuguese dishes, Costeaux French Bakery and Cafe with its artisan breads. Located on Westside Road, Porter Creak Vineyards is a winery and vineyard along Port Creek, which feeds into the Russian River. It is a family owned and operated winery and vineyard that was established in 1977 when George Davis bought land along Porter Creek in order to start a vineyard. He continued to make wine until 1997 when his son Alex began to operate the winery. The winery sells a variety of wines including Carignane, Chardonnay, Pinot Noir, Syrah, Viognier, and Zinfandel. 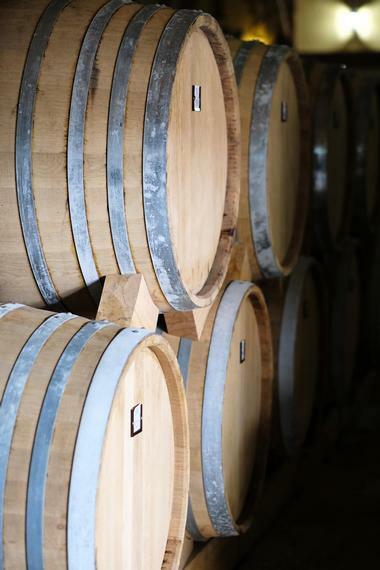 All vineyard practices follow organic and sustainable processes and the wines are handcrafted in French oak barrels and produced using the French Burgundian technique. 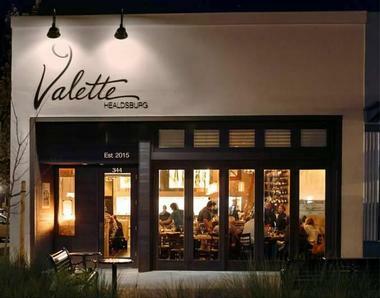 With its concrete walls, beautiful light fixtures, comfortable leather banquettes, and a lovely outdoor patio, Valette Healdsburg is delightfully rustic. The main focus resides with the open kitchen, where a flurry of activity results in some of the most innovative dishes in California. Chef Dustin Valette proudly uses ingredients grown on local farms and meats from local growers. He cures his own meats, and you can see them hanging in the kitchen, adding to the rustic country kitchen feel. Truett Hurst Winery is a winery and vineyard located on Dry Creek Road. Founded in 2007 in Dry Creek Valley, the Truett Hurst Winery consists of 26 acres of several vineyards including Petite Sirah and Zinfandel, as well as a section of Dry Creek, a garden of five acres, and a tasting room. In addition to Petite Sirah and several kinds of Zinfandel, the winery also produces Cabernet, Gewurtz, Pinot Noir, Sauvignon Blanc, and more. Besides the regular schedule in the tasting room, the winery offers special events including Saturday Music in the Tasting Room, an annual pig roast, and more. 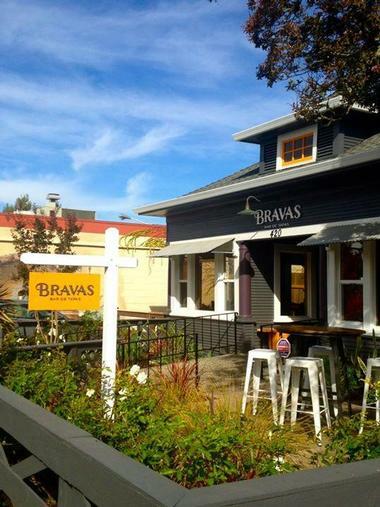 Bravas, one of the Stark Reality restaurants, is the most popular tapas bar in Healdsburg for a reason. The restaurant is modern, warm, and bright, and the paintings on the walls are reminiscent of Spain. Guests may dine in the spacious, nicely decorated dining room or on the outdoor patio. There are also two bars, indoor and outdoor, ensuring enough space for the paella and tapas lovers to gather in large numbers in the evenings. Both cold and warm tapas are great, but you have to try their little bocadillos, tiny sandwiches such as Duck Meatballs with sofrito and pureed green olives. Bravas also has an excellent grill, and their paella and sangria are both legendary. They have an excellent selection of Spanish wines and ports. Located on Limerick Lane, Christopher Creek Winery is a small family owned winery that produces handcrafted award winning wines. Consisting of 11 acres in the Russian River Valley and 27 acres on Dry Creek’s Bradford Mountain, the winery has a long history dating back to 1972 when the first grape vines were planted. The winery began producing its Reserve Petite Syrah and Reserve Syrah in 1974, and has since added many other wines such as Cabernet Sauvignon, Chardonnay, Chocolate Bliss, Pinot Noir, Port, Voignier, and Zinfandel. Guests are welcome to the winery’s tasting room, which is open every day. Guests can also enjoy their wine by the pool or have a picnic lunch on the patio. Baci is an Italian restaurant with an Iranian chef, a Norwegian manager, and Californian wines. Italian in spirit, with its modern décor and friendly atmosphere, Baci is quite cosmopolitan. 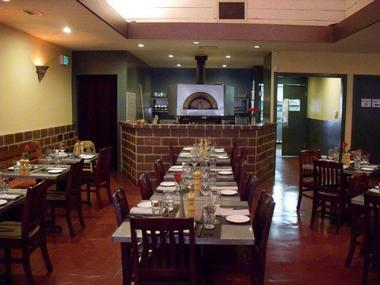 Their wonderful wood-fired oven produces not only great pizzas but also roasted vegetables and succulent meats. They make their own delicious pasta and most ingredients are locally sourced. The wines come from their favorite Sonoma County wineries, and they provide excellent recommendations on pairing them with their imaginative dishes. Chef Shari Sarabi, an Iranian native, plays with fresh ingredients and uses his significant experience and vivid imagination to produce whimsical dishes that would delight the palate of any foodies. All their pasta dishes are a revelation. Baci provides a great place enjoy a glass of wine with their small but very pleasant wine bar, or you might want to visit for a fabulous meal worthy of any special date. Founded in 1981 by Don and Rhonda Carona, Ferrari-Carano Vineyards & Winery is housed in Villa Fiore, a beautiful building surrounded by gardens and fountains. Winery tours are offered from Monday to Saturday by appointment. Visitors can enjoy wine tastings of up to five wines in the Villa Fiore Tasting Room and Wine Shop, on the Il Terrazzo Outdoor Tasting Terrace, or in the Enotecta Reserve Wine Tasting Bar. The winery also hosts special events such as the Jazz It Up! wine and jazz series, and the 12th Annual Pinot on the River Festival. When everyone in Healdsburg started to notice their muffins and macaroons, the smart young owners of the Moustache Baked Goods decided to extend their offerings by opening a heritage pie and ice cream shop in the same neighborhood. Their philosophy remained the same – use locally sourced ingredients from neighborhood farms and make everything from scratch. At times, they include grains such as faro and buckwheat, and they’ve been known to use almost forgotten cooking techniques and recipes. Their heritage pies are spectacular – try the Salted Caramel Mississippi Mud Pie. The pie offerings change almost daily, so check out what’s new on their website. 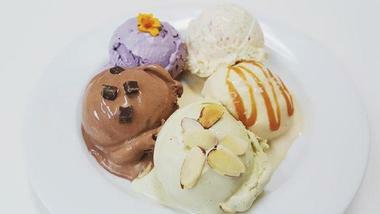 Their ice creams, which also change daily, are on a level all by themselves. Try the black sesame and coconut; it’s healthy and delicious at the same time, so you don’t have to feel guilty about indulging. SingleThread is a fine-dining farm restaurant and inn in Healdsburg, operated by acclaimed executive chef Kyle Connaughton and his wife, farmer Katina Connaughton. The restaurant, which is located on a beautiful five-acre plot of land along the Russian River near the San Lorenzo Ranch, was one of the most anticipated restaurants in the United States at its 2016 opening, featured in major publications such as Eater National. It features a beautiful 55-seat dining room designed by Avroko, with specialty lighting designed to change seasonally with sunset times. 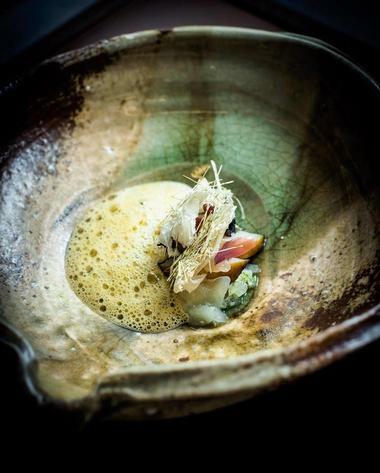 Elegant Californian-Japanese fusion fare is served, with all produce sourced from the restaurant's private farm. Five guest rooms at the restaurant's inn offer amenities such as Japanese-style restrooms and an automatic-steeping Teforia tea system. Café Lucia is the place where people go for a meal and end up staying for hours. The chairs are oversized and have thick plush cushions. Their outdoor fenced patio is very inviting and features lovely flowering plants. Executive Chef Manuel Azevedo offers what he calls New Portuguese Cuisine, which consists of traditional Portuguese dishes made with many of his family recipes and prepared with a modern twist. Chef Azeedo makes a point of supporting area farmers and uses local produce in his dishes. If you are not familiar with Portuguese cuisine, start with one of their Tasca Tasting Plates, which offer a bit of everything. They also serve them during their happy hour at the bar. They have an excellent wine list, and their port selection is simply incredible. The history of Rodney Strong Vineyards goes back more than a hundred years when in 1904 early settlers began planting grape vines in what would later become the Rodney Strong Vineyards. Rodney Stone, a former dancer, founded the winery and began planting a variety of grapes. Today, the handcrafted wines from this winery include Cabernet Sauvignon, Chardonnay, Malbec, Pinot Noir, Port, Riesling, Sauvignon Blanc, Syrah, and Zinfandel. The winery offers tours every day, and there are several wine tasting choices, including the Sonoma County Wine Tasting, Estate Wine Tasting, Single Vineyard & Reserve Wine Tasting, and more. Located on Westside Road in Healdsburg, Gracianna Winery is an award winning winery and tasting room on the Miracle Mile in Sonoma County. The Miracle Mile refers to the small number of wineries located on Westside Road along the Russian River. 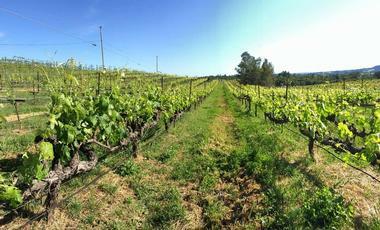 This area is particularly suited for growing pinot noir grapes. The winery is named after Gracianna Lasaga, the grandmother of the Amadors, the owners of the winery and the vineyard, which is called Mercedes Riverblock. Like the winery, the vineyard is named after another grandmother: Mercedes Siodia Amador. 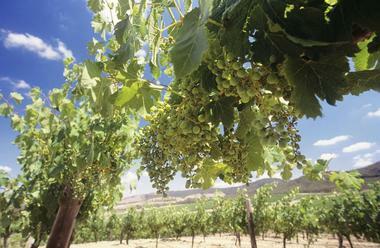 The Amadors began producing their wines in 2009. 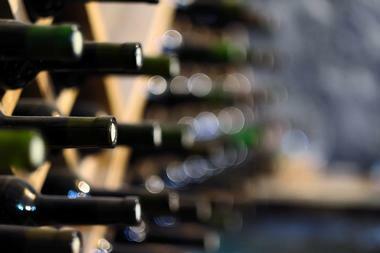 Some of their wines include Brut Rose, Chardonnay, Pinot Noir, Sauvignon Blanc, and Zinfandel. Located on Dry Creek Road, Dutcher Crossing Winery is a small winery in Dry Creek Valley in Healdsburg. The grapes are grown on several vineyards such as the Dutcher Crossing Vineyard, which produces Cabernet Sauvignon grapes; the Taylor Vineyard, which also produces Cabernet Sauvignon grapes; the Maple Vineyard, which provides the winery with Zinfandel grapes; and the Stuhlmuller Vineyard and the Costello Vineyard, both of which produce Chardonnay grapes. Guests are invited to the winery’s tasting room with its panoramic views of the hills and vineyards. They can also visit the cellar and the winemaking facility or bring a picnic and enjoy lunch paired with wine on the grounds of the winery. Located on West Dry Creek Road, Bella Vineyards consists of several vineyards. Big River Ranch is located in Alexander Valley near Russian River in Sonoma County. The vineyard’s grape vines were planted in 1906. 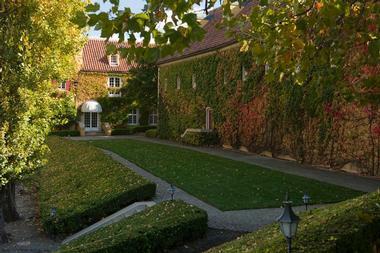 Lily Hill Estate is the home of Bella’s winery and is found in the Dry Creek Valley in Sonoma County. The vines here are also quite old; they are 85 years old and produce Zinfandel, a grape that is well suited to the Dry Creek Valley area. Belle Canyon Vineyard is a second vineyard in Dry Creek Valley, and it also produces Zinfandel. 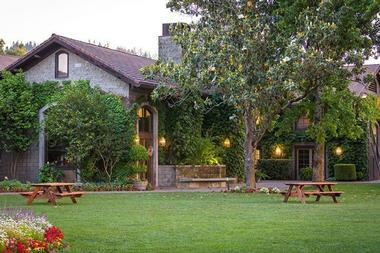 Bella Vineyards has wine tastings every day, and guests are encouraged to bring a picnic lunch.